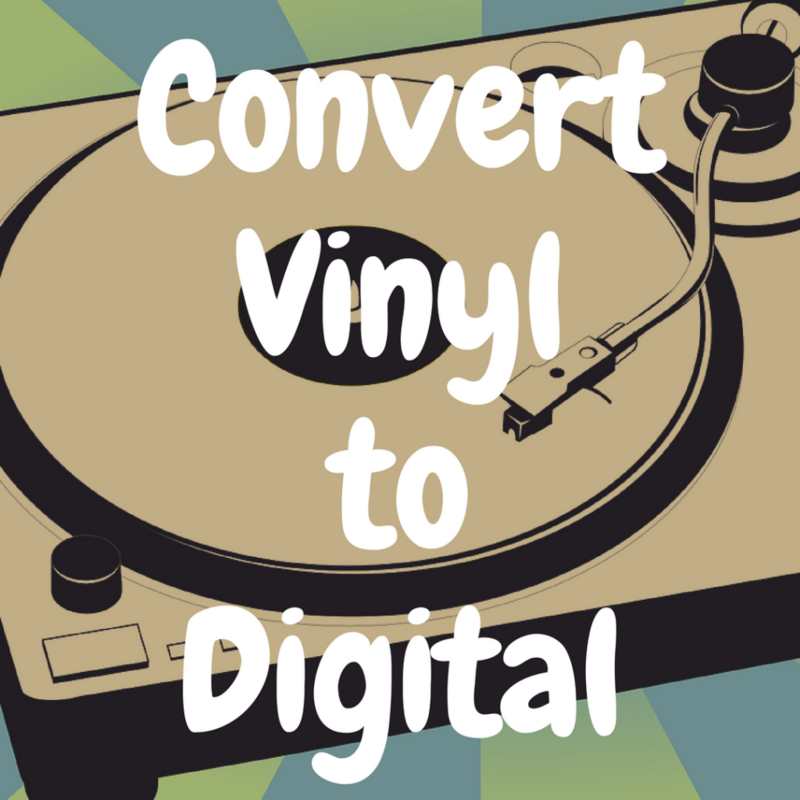 In this article, I’m going to walk you through 4 easy steps you can take to successfully convert your vinyl records to digital formats like CD or MP3 files. 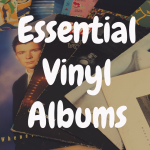 So, whether you have a large vinyl collection that you’d like to listen to on your phone, or you have an incredibly rare record that’s not available in any other format and you’d like to archive it to a CD, this article will help you learn everything you need to know. 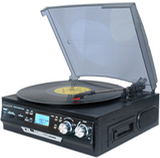 And, to better help you in this process, please check out the guide below which will show you some of the more popular record players on the market that convert vinyl to MP3 or CD. All you need aside, from your turntable, is a couple of cables, a computer with a recording program and some patience (as your album will still need to be digitally recorded in real time). I wish I could tell you that there is just one way to capture and digitize your vinyl collection but the process relies heavily on what type of equipment you’re using. 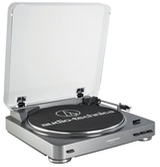 For example, some modern turntables come with a USB output and are packaged with a program you can upload to your computer to transfer the files. 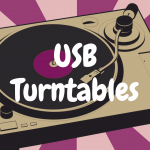 No USB jack on your turntable? You’ll need a stereo RCA cable and an RCA-to-1/8th inch phono adapter to plug into the line-in port of your computer. You may also need an external pre-amp if your turntable doesn’t have one built in. If you use a receiver, it may have its own pre-amp built in. Just plug your RCA cables into the “monitor out” of your receiver and into your computer. If there’s no pre-amp in either your receiver or turntable, you’ll need to get one. You have numerous choices when it comes to pre-amps ranging from relatively inexpensive to quite pricey. Remember, the better the quality of your pre-amp, the better the quality of your recordings will be. The easier method, of course, is to purchase a new turntable with a USB out and built in pre-amp. 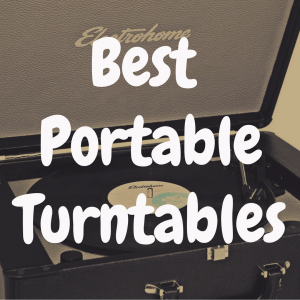 USB is the quickest method and there are a number of very affordable modern turntables for you to choose from although sound quality varies from machine to machine. What is the best converting program? Whichever method you choose, you will still need a computer program to convert vinyl records to digital. The “best” program is subjective. 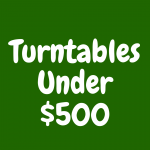 Some of today’s USB turntables come with a program included. Sony packages their own software with their record players and has a tutorial on their website. If you use an Ion turntable for your transfers, they include their very simple to use EZ Vinyl Converter program. You may already have a program like Cake Walk or Garage Band pre-loaded on your computer. Some people use Audition from Adobe, but that’s more of a professional recording program that allows for multi-track layering, has a ton of filters and comes with a novel-sized instruction book. 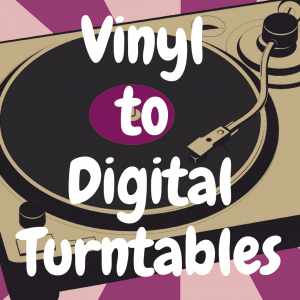 It’s probably more than you need for simple vinyl to digital conversion. One of the best options is a very popular open-source program you can download from the web called Audacity. It’s simple enough for the beginner yet advanced enough to provide you with some pretty handy editing options. You’ve done your research, chosen a recording program and installed it onto your computer. After installation, just connect the turntable to the computer via the USB or RCA cables and you’re ready to record. I’m all set up. How do I record? Now that you’re all set up, the conversion process is simple. For the purposes of this article, we’ll assume you’re using a simple program. For a more advanced program, you’ll want to read the manual or watch a tutorial on YouTube but the basics are the same. 1. Power up your computer and turntable (and your receiver or power amp if you’re using one), open the recording program and start a new recording. Here you will find a screen that allows you to enter some metadata (information like album name, artist and track name). You don’t necessarily have to enter any of this information but, without it, your files will come up as unknown track, unknown album, unknown artist and that makes it pretty hard to find the songs you’re looking for when you’re done. Also, a more advanced program will give you the option to choose your recording quality. Remember, the higher the quality, the more space it will take up on your computer. I recommend, at minimum, 16 bits sampled at 4.41 kHz. You can always compress a larger file but you can’t expand a compressed file. Once you’ve entered the correct information, you’re ready to record. Note: Make sure you clean your record prior to recording. Vinyl is notorious for collecting oils from your fingers and dust. Any imperfection on the record, pops, clicks or hisses, will be transferred during the recording process so the cleaner, the better. 2. Place the record on the turntable and position the tone arm at the beginning (or wherever you wish to begin). Press “record” on your computer (this is usually a red dot), lower the tone arm and do a quick test record to make sure you have the proper recording levels. Too high and you will get clipping and distortion. Too low and you’ll end up with a poor quality recording. Some programs will have a built in level meter. If not, you’ll have to find it in the audio settings on your computer. Again, refer to the manual if you’re unsure where to look. Once your levels are satisfactory, move the tone arm back into position and ready your computer for another track. You’re recording for real now. 3. To separate the tracks, press “next track” between songs. Some programs have silence sensors and will automatically start a new file between songs. This is a nice feature but can be problematic if the songs your recording have long pauses in them. It’s a rarity but it does happen. If you’re using Audacity or a similar program, you can record an entire album side and set in and out points later. 4. When you’ve reached the end of the side (or song if you’re not recording the whole album) press “done” or “Stop Recording” (usually a black square). The program will then finalize your tracks and, voila, you’re done. You now have your analog tracks converted to digital sound files which you can edit or filter. Most programs will give you the ability to edit your tracks. If you recorded each track individually, you can trim excess silence before or after the song. If you recorded an entire album side on Audacity or similar then you can set the in and out points for each song. EZ Vinyl Converter doesn’t give you this option. You can trim but you can’t separate tracks. You may also have the ability to incorporate a noise filter to your tracks that will minimize any hum, pops or clicks that may have transferred from the turntable. Direct drive turntables especially may have some noise from the motor. It’s usually imperceptible but for the true audiophile you will want to eliminate it. What format is best for digital files? Some programs will save your files in a built-in, default format and you’ll get what they give you. But, you may have the ability to save your tracks in the digital format of your choice whether MP3, WAV, AIFF, or others. WAV and AIFF files are considered “lossless” which means they are uncompressed and larger. They will sound closer to the original source material but take up more space on your computer and are generally inappropriate for mobile audio devices. MP3s are classified as “lossy” files and take up less disc space but are compressed so the sound quality is compromised. You’ll usually find WAV or AIFF on CDs, MP3s on phones and IPods. Remember, you can always compress a lossless file into a lossy format but you can’t go the other way. Save accordingly. Life is all about tradeoffs, after all. Now, simply burn your new tracks to a CD, transfer them to a flash drive or import them to your listening device of choice. Converting vinyl to digital is super easy when you have the right equipment. 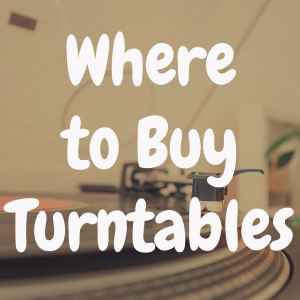 Be sure to read any directions that came with your turntable and recording program to glean even more insight into the various options available to you. I think we can agree, there are few things finer than sitting down to listen to your precious record collection in the comfort of your home but creating digital tracks from vinyl is a great way to limit the wear on your records and enjoy your collection on the go. The final step in the process is enjoying your new portable files. So, enjoy!